If you haven’t made it your beeswax to get out to the woods before fall approaches, don’t fret. 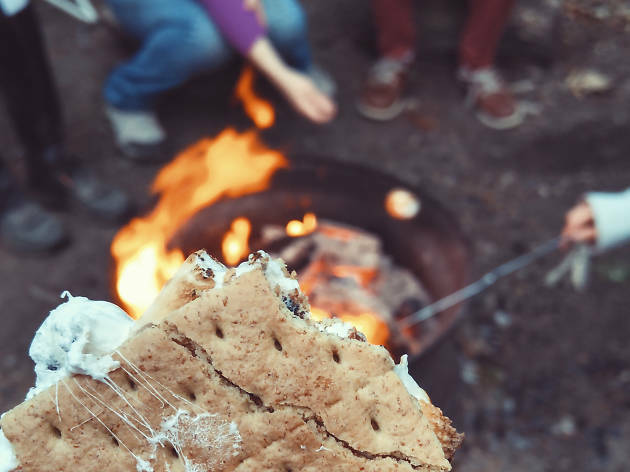 Fretting is probably what prevented you from going camping in the first place. Fortunately, SPARK Social SF has packaged all the best parts of overnighting in the outdoors without any of the b.s. (bears, primitive toilets, escaped killers, bug spray, etc.). 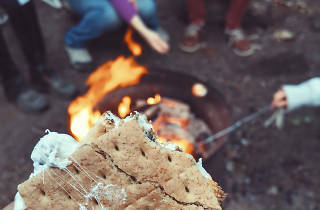 Celebrate National S’mores Day in convenient style with gourmet food trucks, a bluegrass jam session and all the chocolate and marshmallowy madness you can muster.